Excellent resistance against the effects of the weather. Safe to use in confined areas – Does not emit any dangerous fumes. Withstand temperatures up to 175°C once cured. Excellent light and heat reflecting properties. Adheres exceptionally well to clean, bright metal. Sand or shot-blasted surfaces do not require an immediate application – light rust coating will not affect its performance or the final result. Galvanised surfaces do not require weathering or pickling prior to application. Highly elastic – Will not crack, peel or blister. Remove all scale; loose and flaking rust and old paint back to a sound surface and edge. Abrade new wood surfaces with 120 grit paper to open the woods pores and dust off. Wash with denatured alcohol (methylated spirits) to remove any sanding residue. 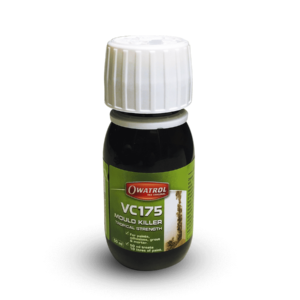 Oily, resinous and greasy woods should be thoroughly degreased with denatured alcohol (methylated spirits), acetone or similar solvent based product NOT White Spirit. Stir can well before and during use. Prime new metal and galvanised surfaces with 1 coat of Owatrol Oil or AP.60 and allow to dry 24 hours. Apply 1 or 2 coats of RA.85. 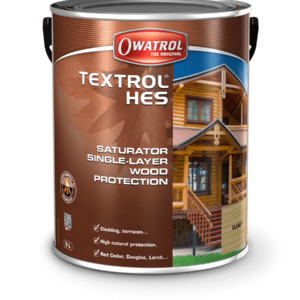 For new metal surfaces subject to aggressive climatic conditions apply 2 coats. Apply 2 coats of RA.85 allowing drying time between coats. Clean, lightly rusted or new unpainted rusty steel. 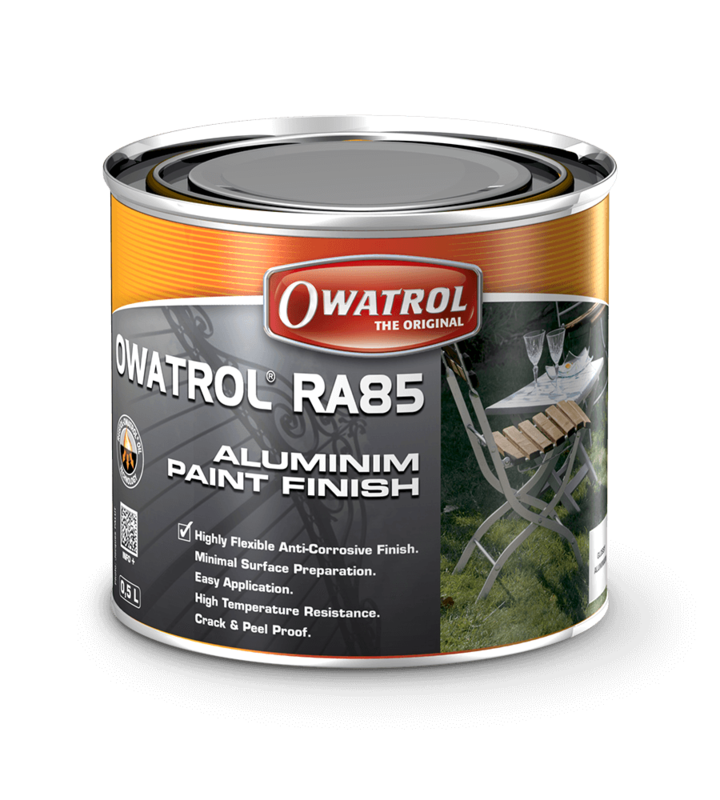 Apply wet on wet applications of Owatrol Oil until rust is fully saturated and allow to dry. Saturation is indicated by a uniform glossy appearance to the surface when Owatrol Oil is dry. Spot prime all exposed metal with Owatrol Oil or AP.60 depending on severity of rust and allow to dry. Apply RA.85 to primed areas to bring level with existing finish, allowing drying time between coats. 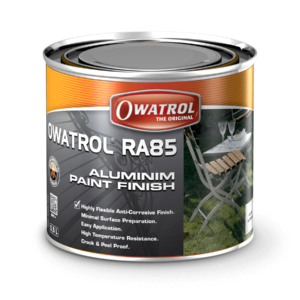 Apply 2 coats of Owatrol RA.85 over entire area; allowing drying time between coats. Apply 2 coats of RA.85 ; allowing drying time between coats. 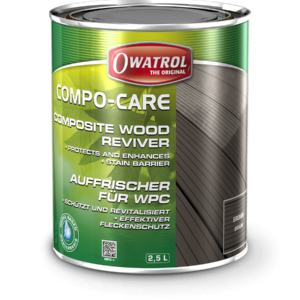 Prime with Owatrol Oil and allow to dry. 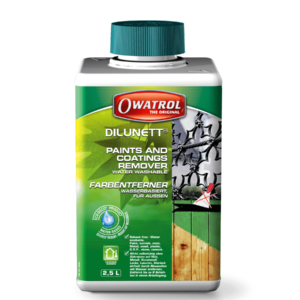 Spot prime all exposed surfaces with Owatrol Oil or AP.60 depending on condition and porosity of the wood, allow to dry. Apply 2 coats of RA.85 over entire area; allowing drying time between coats. Clean-up: Clean all tools and equipment with white spirits while still wet. If allowed to dry, remove with paint stripper. NOTE: Any rags, steel wool etc soaked in RA.85 may spontaneously catch fire if improperly discarded. Rags, steel wool etc must be saturated with water after use or placed in a sealed, water filled metal container, before disposing with household waste.